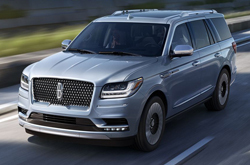 In terms of style and amenities, the 2019 Lincoln Navigator is essentially unchanged from the 2018 Navigator. The 2018 model was considered to be the best-selling large SUV in the United States, and it was crowned the "North American truck of the year" by auto enthusiasts. This year, the 2019 Navigator packs in more standard amenities that were optional on earlier models. 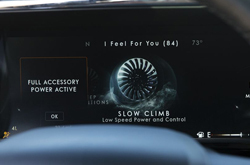 With this change, the 2019 Navigator is expected to be one of the most anticipated cars on the market, as consumers are already asking their local dealerships about test driving and pre-purchasing the 2019 Navigator. 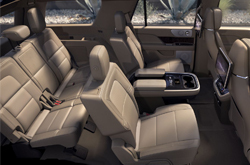 With features like reclining third-row seats and a center console with cup holders in the second row, it's easy to see what's driving the crowds to the Navigator. There are four trim levels in the 2019 Navigator to choose from. 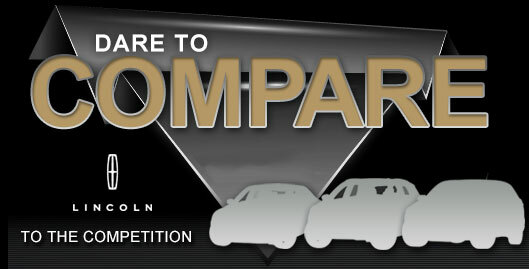 The base model and the second-tier trim, which is called the Select, come with the optional four-wheel drive. Rear-wheel drive is standard on all trim levels. When you get the base model, you'll get LED headlights, a hands-free liftgate, a keyless entry system, three-zone climate control, heated seats in the front and second rows, leather seats in the first two rows (the third row has vinyl seats) and split-folding seats in the third row. The base model rides on 20-inch wheels. It comes with a trailer towing package to fortify its towing capacity. Technology in this trim includes a 10-inch infotainment screen with Apple CarPlay and Android Auto. There are six USB ports located across the cabin. With a 14-speaker sound system, you can blast your favorite tunes anytime. Upgrading to the Select, you'll get suspension dampers for a smoother and quieter ride. This trim features auto-folding running boards, a wireless charging area for electronic devices, leather upholstery, and a heated steering wheel. The Select also has larger 22-inch wheels. The Reserve has everything that the lower trims have and more. This trim level adds a panoramic sunroof to the list of standard amenities. It also has ventilated front seats. 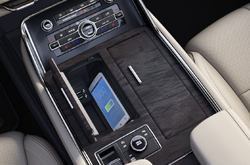 A special technology package is standard on the Reserve. This package adds a head-up display, lane-keep assistance, automatic high beams, adaptive cruise control, and forward collision warning to the list of standard amenities. The final trim option in the 2019 Navigator is called the Black Label. This trim has even more standard amenities including premium leather seats, chrome accents around the exterior, and an impressive sound system with 20 speakers. Seats that move an unprecedented 30 ways are standard in this trim level, as are multi-contoured front seats that ensure a just-right fit for every passenger. Whether you need to tow a trailer or just high-tail it to work, you'll be able to get plenty of performance out of the 2019 Navigator. This year's SUV is powered by a 3.5L V6 twin-turbo engine that generates a maximum of 450 HP and 510 lb-ft of torque. When the engine is put into "haul" mode, it allows the Navigator to pull up to 8,700 LBS. This gives the Navigator a best-in-class towing capacity. The engine is paired with a 10-speed smooth-shifting automatic transmission. The Lincoln Navigator is powerful, luxurious, and also quite safe. Adaptive cruise control and lane-keep assistance are notable driver assistance features. The technology package, which is standard on the Reserve trim and available for the Select trim, adds automatic braking to the forward collision warning. It also has parking assistance, automatic high beams, adaptive cruise control, and a head-up display that is designed for optimal visibility, including when the driver is wearing polarized sunglasses. With the optional Lincoln Way app, you can have additional features like roadside assistance, service pickup and delivery, and making parking reservations ahead of time.